Natural spring water has been big business – in one sense or another – since Roman times. 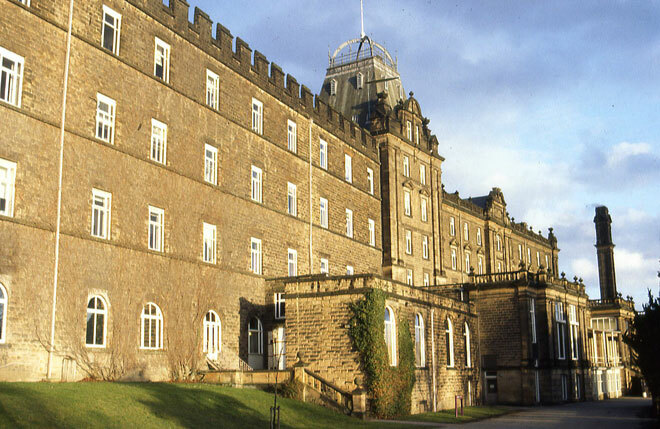 This October 2009 tour illustrated the ways water therapies have brought prosperity and fine architecture to Buxton, Matlock and Matlock Bath, and left an imprint on much less well-known locations in and around Derbyshire. The itinerary included a selection of the smaller resorts in Derbyshire where people took the waters – Birley Spa, now within the city of Sheffield, Stoney Middleton Bath Houses, Bakewell Bath House and Quarndon Spa. The 72-page illustrated handbook provides detailed notes of the history and architecture of each of the above sites, and also an account of the long-vanished Matlock Steep Gradient Tramway and a short bibliography. There are extensive appendices of advertisements and illustrations from early-twentieth-century brochures for Matlock Bath spas and hydros, with a selection of contemporary maps of Buxton, Matlock and Matlock Bath. For further sidelights on sites mentioned in this handbook, please click here.